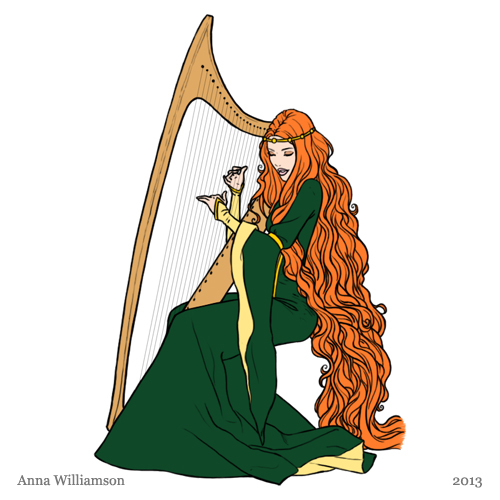 I thought I’d post a quick sketch of the fairy tale princess playing the harp, though it’s more of a gothic harp in shape, and not an Irish harp or clàrsach/cláirseach. Still, she’s wearing green and she’s lovely. Happy Saint Patrick’s Day!